OPTIMUM SIZE FOR RAPID INCREASE IN FOREARM AND BICEP SIZE AND STRENGTH. At Fitness343 we have tried and tested to find the best size to specifically target forearm and bicep muscles. We truly believe that our bar grips are made to the exact measurements which result in the maximum forearm and bicep development.. INNER DIAMETER THE PERFECT SIZE TO FIT ALL TYPES OF BARS. At Fitness343 we have made our grips the perfect size to easy attach to any barbell, dumbbell, pull-up bar, or cable attachment. Allowing you to increase the difficulty of many different exercises. HIGH QUALITY GRIPS WILL LAST A LIFE TIME. 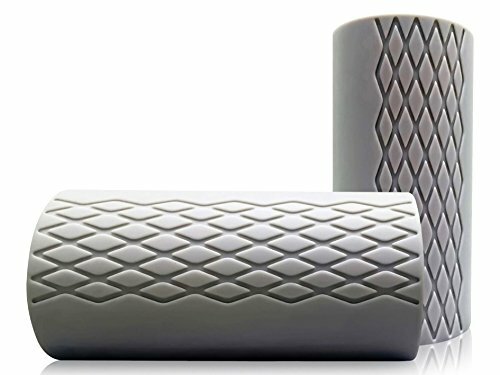 At Fitness343 our bar grips are made from high density silicone rubber with laser engraved cross-hatching for added grip. This enables the grips to stick to any bar without slipping or compressing. We manufacture our bar grips to a high quality and can guarantee a high quality final product. PREVENT INJURY FROM HIGH INTENSITY WORKOUTS AND REDUCE HAND PAIN, calluses and stress in joints due to a wider and softer grip compared to a standard metal bar. 100% REFUNDABLE if you are not satisfied with the product. CUSTOMER SATISFACTION is our number one priority. If you have any questions about this product by Fitness343 bar grips, contact us by completing and submitting the form below. If you are looking for a specif part number, please include it with your message.